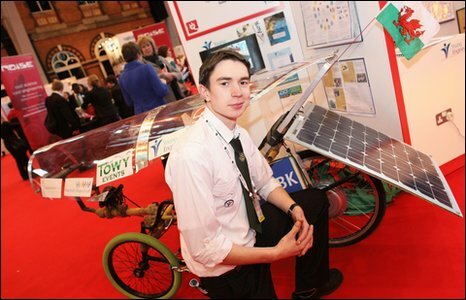 In 2009 as part of my Design & Technology A Level I set myself the challenge of building an emission-free vehicle out of materials and components with as little negative environmental impact as possible. I acquired full project sponsorship from an extensive range of industry sponsors and designed and built a road legal, solar-powered, bamboo-framed recumbent trike. The project won the National Engineering Competition. Over 150 engineers were participating, and these were narrowed down to 5 finalists. 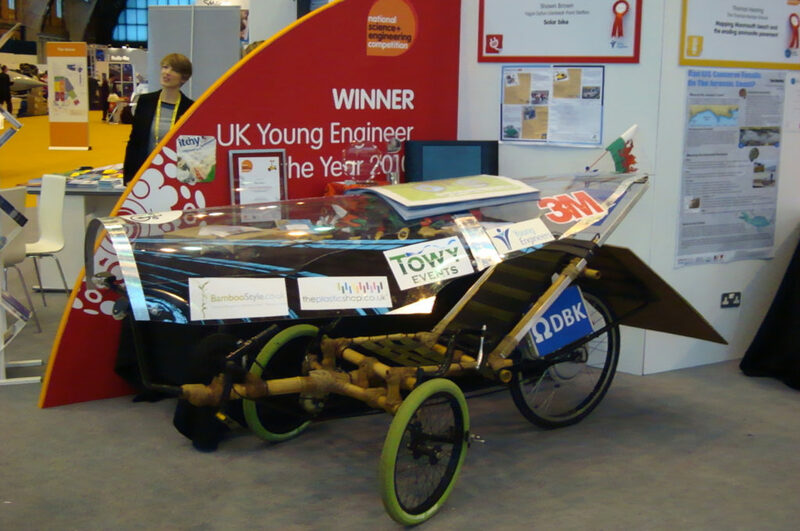 All 5 of us took part in a Dragon’s Den celebrity judging event, and were judged on our projects and our suitability for the prestigious position of ‘UK Young Engineer of the Year 2010’, to act as an ambassador for engineering and young people. I was fortunate enough to win the competition and was also awarded the Young Engineers prize for ‘Design, Innovation & Presentation’.